So you have set up Apple Pay payment method with Stripe Payment Gateway Plugin for WooCommerce, and now want to explore options to customize the Apple Pay button. 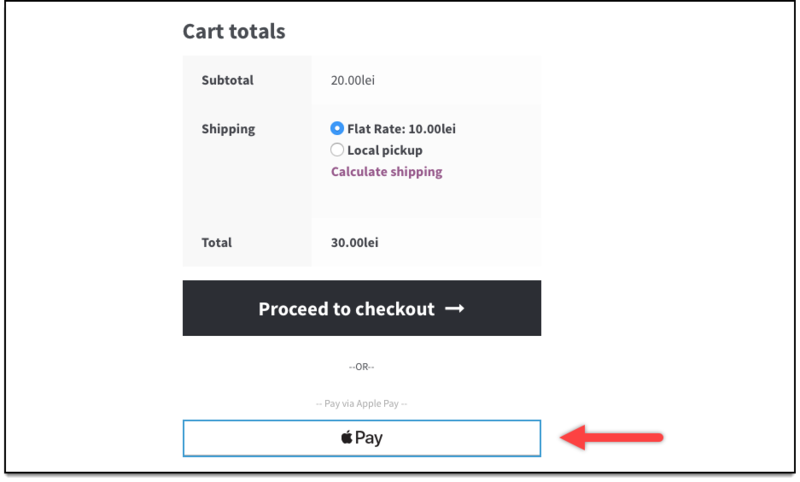 In this article, we’ll show you how to change size as well as the color of Apple Pay button, which will be visible on your WooCommerce cart and checkout page. Here’s how you should get started. Following is a screenshot of the default Apple pay button on cart page. Let’s say we want to reduce the button width to 50%. Add the following CSS code to your theme’s style.css file, under the tag for cart page (shown in the earlier section of this article). The custom Apple Pay button appears on the cart page as shown in the screenshot below. Likewise, to customize the Apple Pay button on the Checkout page, add the same code under the checkout page’s tag of the same file. Following is a screenshot of the default Apple pay button on the checkout page. The customized Apple Pay button on the checkout page will be as shown in the screenshot below. You can invert color and a border color to Apple Pay button. To do this, add the following code to your theme’s style.css file, under the cart page’s tag. In the same way, to customize color on the Checkout page, add the same code under the Checkout page’s tag of the same file. Following is a screenshot of the customized Apple pay button on the checkout page. To know how to set up Apple Pay using Stripe Payment Gateway Plugin for WooCommerce, check this article. For understanding each feature of the plugin, visit the product setting up article. This entry was posted in Code Snippet, Documentation, Stripe Payment Gateway for WooCommerce, WooCommerce and tagged apple pay, apple pay button, payment gateway, stripe.